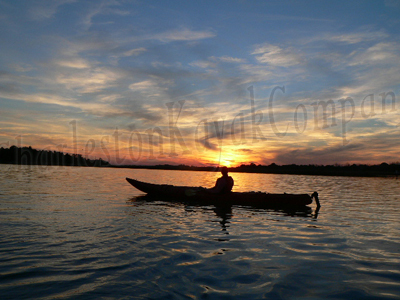 Charleston Kayak Company is a small outfitter specializing in private kayak tours and events. 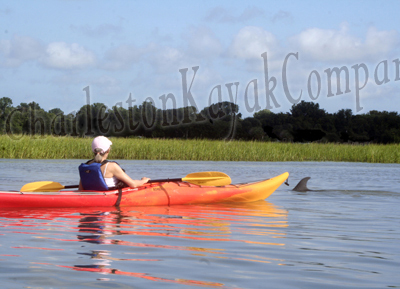 Naturalist led private kayak tours are available daily departing from Folly Beach, Sullivan's Island, and Middleton Place. Tour options range from 2 hours to multi-day custom packages. Trips can be tailored to accommodate any skill level or age. 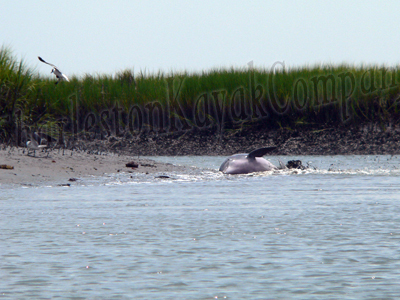 Our guides are professional naturalist who's passion for sharing the history and ecology of the low-country is unmatched. Tours can be arranged for just 2 people, or for groups of 30+. 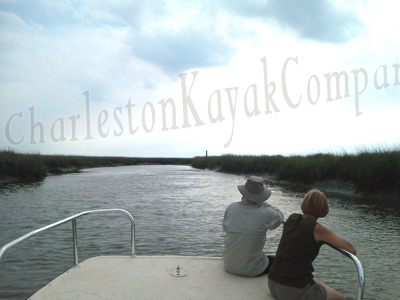 For a different perspective, our 24ft Carolina Skiff is a great way to see and experience Charleston’s waterways. Seating up to 6 passengers with plenty of extra room to spread out and bring extra gear with you, our skiff is one of the biggest inshore 6 passenger tour boats in the area. Our open deck and high safety rails make this boat a very safe boat for families. Lots of options are available from 2 hour cruises to full day expeditions. Our USCG certified Master Captains are also professional naturalist. All boat charters are private trips customized for your group and scheduled on demand. Tours depart from Folly Beach and Sullivan's Island.